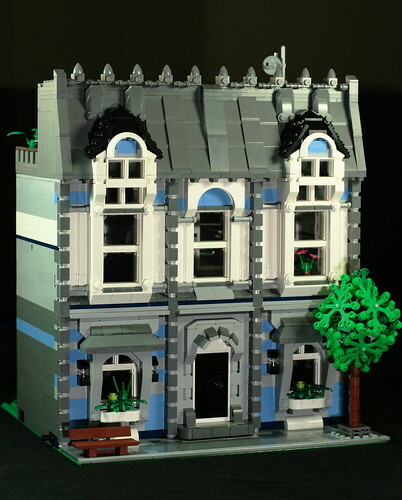 Brick Town Talk: True Blue - LEGO Town, Architecture, Building Tips, Inspiration Ideas, and more! Ontario, Canada - (BTT) The pre-war apartment building still holds a certain panache that the modern counterparts just can't seem to match. Sure you might have to deal with the hiss of a leaky radiator, and good luck finding a spare wall socket now that we live in an era where everything needs one, but one look at the grandeur of this remarkable abode and such inconveniences start to feel very minor indeed.